It doesn’t matter that Nigeria’s debt profile is climbing the roof. The Buhari-led federal government has just secured approval for another loan – a $2.786 billion that would be borrowed from Europe. Don’t bother asking for naira equivalent, the debt will be raised in dollars. The Senate approved the planned borrowing on Wednesday but advised the government to limit foreign borrowing to avoid a debt overhang and boost revenues. Lawmakers said the new bond will see foreign borrowing rise to 32% of Nigeria’s total debt mix, from 30% by June 2018. Last week, President Muhammadu Buhari asked lawmakers to approve the issue, which is meant to partly fund the 2018 budget. 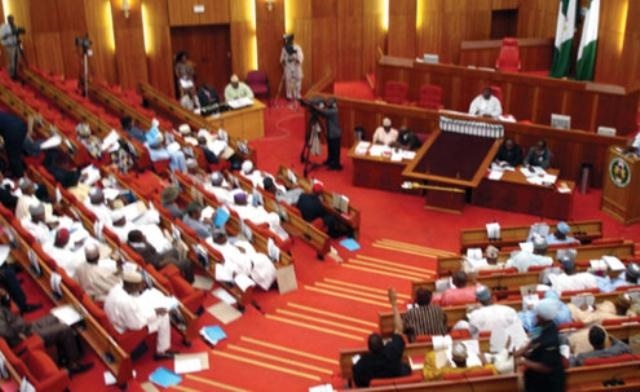 “The Senate do approve the issuance of the above but advise that the federal government should do everything possible to reduce or limit its request for more external borrowing and source for other means of generating revenue internally,” the Senate said. Lawmakers also approved the issuance of $82.54 million to refinance the balance of a $500 million matured Eurobond. The plan to issue this bond was first announced in June by the Debt Management Office.